Adding Google account is very necessary in android or any smartphone because if you do not add account then you can not download and install any app via Google play store and also you can not find your mobile location. So it is very necessary. Now a days we are buying 4G phones and replace with our 3G Smartphones. So we have to Add our Gmail account in our Smart phone. When we buy a new phone then we are very eager to set up its setting, ringtone, wallpaper and other settings and also a prompt will come on screen for adding Google account in smartphone. Normally we ignore that prompt but it is very necessary. If you have ignore then do not worry you can still add your Google account with your phone. It is very easy to add your Google account in your phone. We have given some easy steps to add your account to your phone. There are two ways to add google account in smartphone 1. Add google account via Google play store 2. Add google account via setting. How to add account in android Smartphone via Google play Store:- Google play store is a place from where you can download and install app but if you want to install app then first you have to add your account in google play store. So we are here to tell you how to add your google account in Google play store. It is very easy to add account via Google play store just follow the given steps correctly and easily add your account. First of all, unlock your android Smartphone. Now connect your mobile to internet by above notification bar. Now open Your Google play store from menu. Now click on ‘Exiting’. If you have already an account on Gmail. Wait few minutes. After few minutes google play store will be opened. So if Google play have been open and you are on Google play’s home page then you have successfully added your account to Google play store. 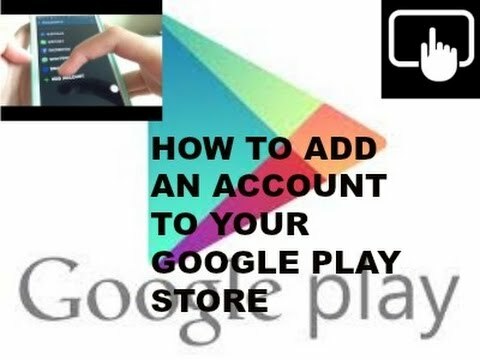 If you have no Google account then click on new and follow the steps which is given by Google play store and create you new account on Google account. 2. How to Add Google account in android Smartphones via Smartphone’s settings:- You can also add your Google account via your Smartphone’s setting. It is very easy to add your Google account via smartphone’s setting. Just follow the given steps and add your google account in your smartphone easily. First of all, unlock your smartphone. Now click on “Add account” and enter your email Id and password in given option. Click on add and after few minutes you will see that you have automatically add your account in your smartphones. 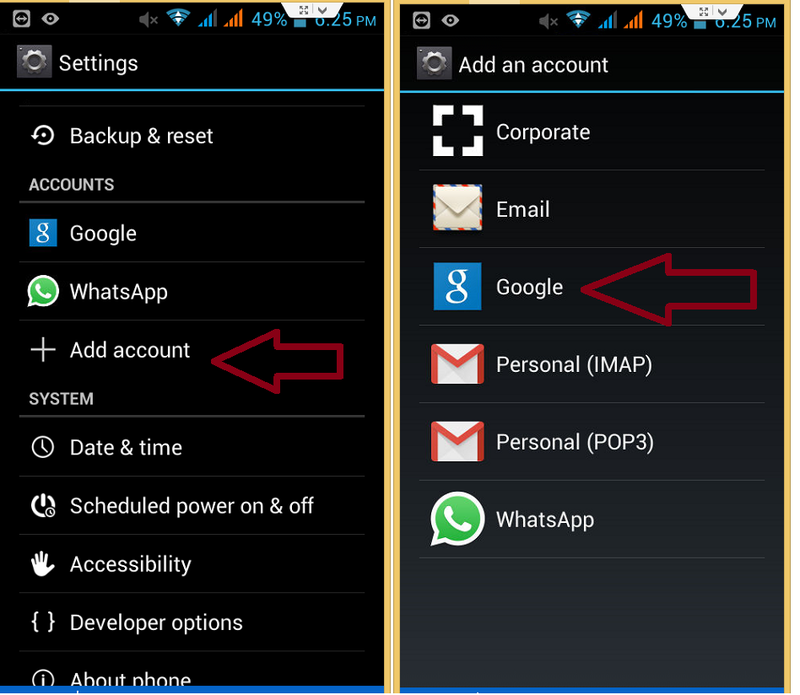 So these are the two easy ways to add your Google account in your android Smartphones. If you didn’t add your Google account in your smartphone then add your Google account in your Smartphone. Adding a Google account will make sure that you don’t have to search for things like find my android phone on Google. If you face any problem in adding account in your android device then please comment and share your problem with us. We’ll try our best to help you. This entry was posted in Internet and tagged Easiest way to add Google account in Android phone, How to add account in android Smartphone via Google play Store, How to Add Google Account in Android Phone, How to Add Google account in android Smartphones via Smartphone's settings, How to add Google account in Google play store, How to add google account in smartphones, How to Add Google Account in your android smartphone, Process to add your account in android smartphone via Google play Store on January 20, 2017 by satyenhacks.